Video games are a huge part of most students’ lives. It seems that today, most kids have a complex relationship with video games as they become more realistic and invasive. This fact filled book covers a brief history of video games, their potential hazards, and, interestingly enough, their benefits. This book can serve as an anchor for lessons, essay topics, or interesting class discussions based on the influence of video games, and on lessons centered around addiction as well. 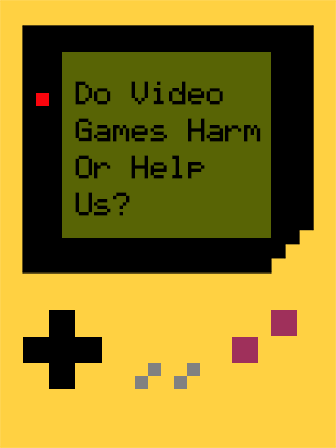 Additionally, this book can spark an engaging class debate on whether video games are actually harmful or helpful.